You are here: Home / Blog / All Posts / Don’t Buy A Commercial Pop Up Tent Before Reading This! Don’t Buy A Commercial Pop Up Tent Before Reading This! Presently pop up canopies are becoming exceedingly popular and can practically be seen everywhere from the beach to social events. We all know what they look like, but there is a huge selection available in the market and prices can vary greatly. At first glance, it can be difficult to differentiate a good quality commercial pop up tent from a cheap one, especially when you don’t know which features to look for. 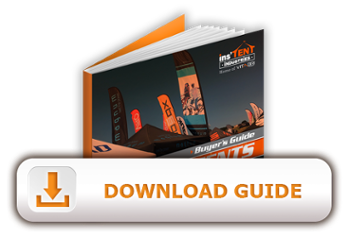 To help you choose the ideal canopy for the correct use, we have put together a technical buyer’s guide that will explain clearly and concisely what you need to consider before purchasing a pop up tent. This buyer’s guide is intended to help you compare the products and prices, and to allow you to make a confident decision in selecting the RIGHT POP-UP. https://www.instent.com/wp-content/uploads/2016/11/commercial-pop-up-tent-e-clif.jpg 405 942 Instent https://www.instent.com/wp-content/uploads/2015/10/InsTenT_Logo.png Instent2016-11-15 07:02:002016-11-23 07:00:49Don't Buy A Commercial Pop Up Tent Before Reading This!